Sometimes, a gal just needs mindless knitting. There are knit nights, lunch hours with a friend, airports and parent visits. These things all require knitting where I am not trying to remember where the cable crosses are, or how many knit stitches between the YOs and k2togs. Enter, the Reunion Cowl. Utterly brainless knitting that can be done just about anywhere. And when it’s done with indigodragonfly MCN Lace (now known as MerGoat Lace), it’s pure pleasure to knit. This is my second of these; the first was knit in a OOAK blue-green colourway in late 2012. But I was always wishing for a red one and Kim and Ron created this lovely colouway a few years back that just cried out to be my newest cowl. 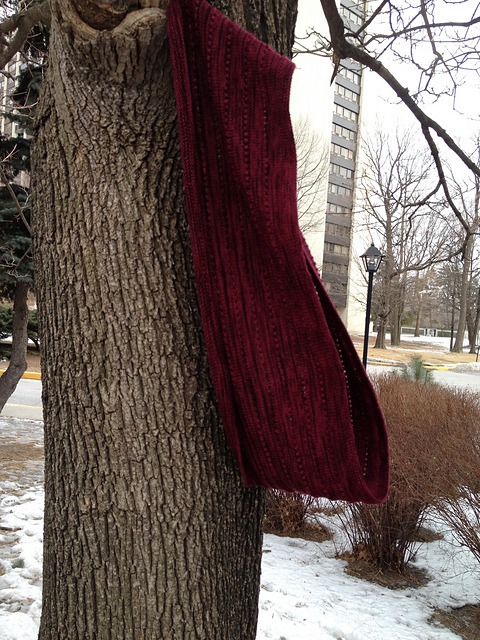 It took a while to knit up, mostly because it was my carry around knitting so I wasn’t entirely devoted to it. I love the way it turned out. 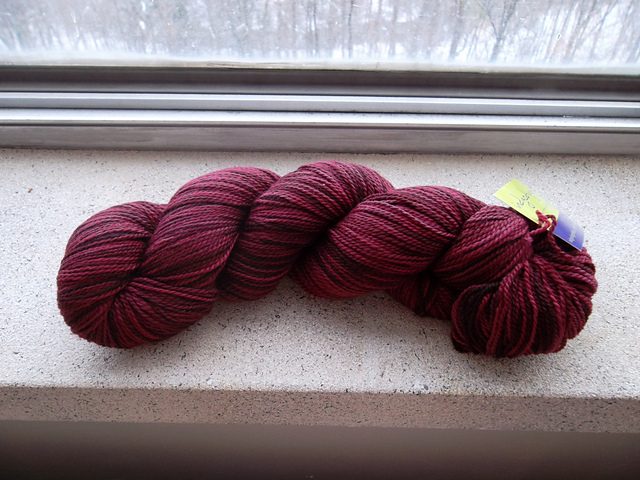 Long enough to double up for extra warmth and wonderfully soft and squishy. I made a couple of alterations, including knitting the first set of garter rounds as flat rows and doubling up the number of eyelet rows to add both visual and knitting interest. I am sure this won’t be my last one of these. They are a nice change from plain-ish socks when I am looking for easy knitting. Were There Changes Made To The Pattern? Added extra eyelet rows to alleviate boredom, and knit the first garter section and seamed it to help avoid twisting my cast on and to avoid purling. I have an unnatural aversion to purling, especially when the rounds are some 300+ stitches long. Would I Make Another? : Likely! 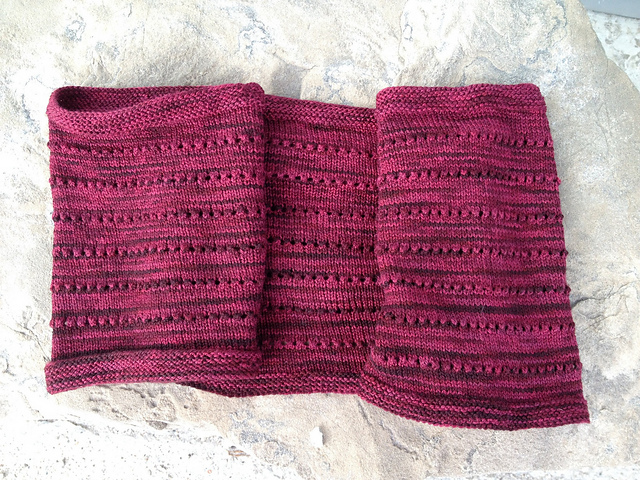 This entry was posted in Uncategorized and tagged cowl, fo, inara, indigodragonfly, knitting, leeleetea, mcn lace, mergoat lace, natalie selles, reunion cowl by Rayna. Bookmark the permalink.